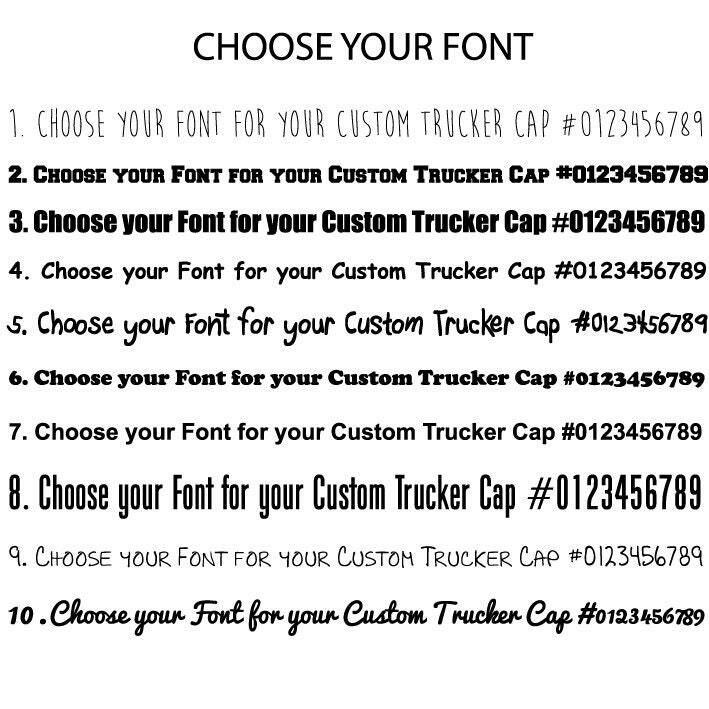 You can customize this Snapback Trucker Cap with your very own Text. What a fabulous Gift Idea and great for any occasion including a Wedding, Birthday Party, Bachelorette Party or Hen Do. Are you and the Girls or Guys going on a Day Trip or on Vacation? However exotic your holiday destination make it extra special by putting on your Nicknames or Tour Tag. 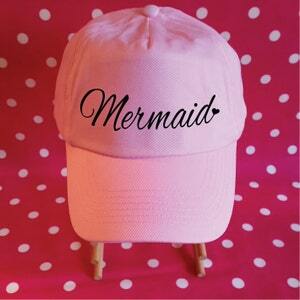 A personalised Hat is a great Gift for anyone. 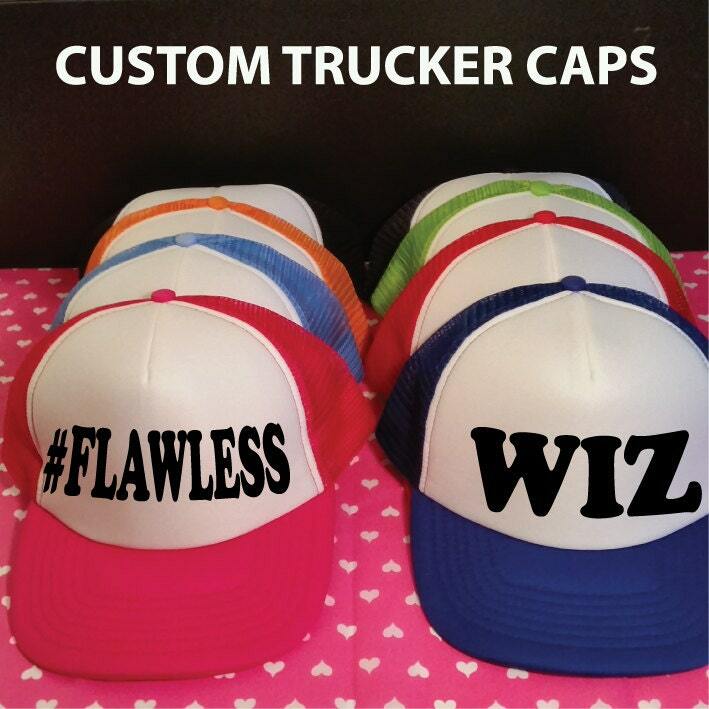 Can you imagine the fab pics you can take with everyone wearing their own personalized Cap? Please contact us for a Quote on larger Orders. 3. Provide Text in 'Notes to Seller' which appears during Checkout. 4. Proof will be sent to you for approval before any printing takes place. We usually dispatch orders within 3 - 5 working days after receiving payment however, you must allow extra time for the design and approval process to take place. 5. All Custom Orders are FINAL. Absolutely no returns or refunds for incorrect details provided, spelling errors or sizes chosen unless an error has been made on our part. 6. If purchased as a Gift please order ahead and allow plenty of time, particularly for international shipments as no responsibility can be taken for any kind of delays occurring during transportation or at customs. 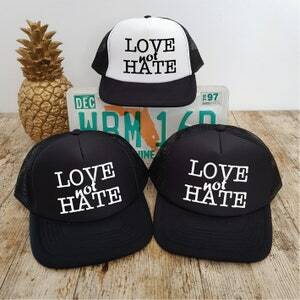 Custom Hat. Bachelorette Hats. 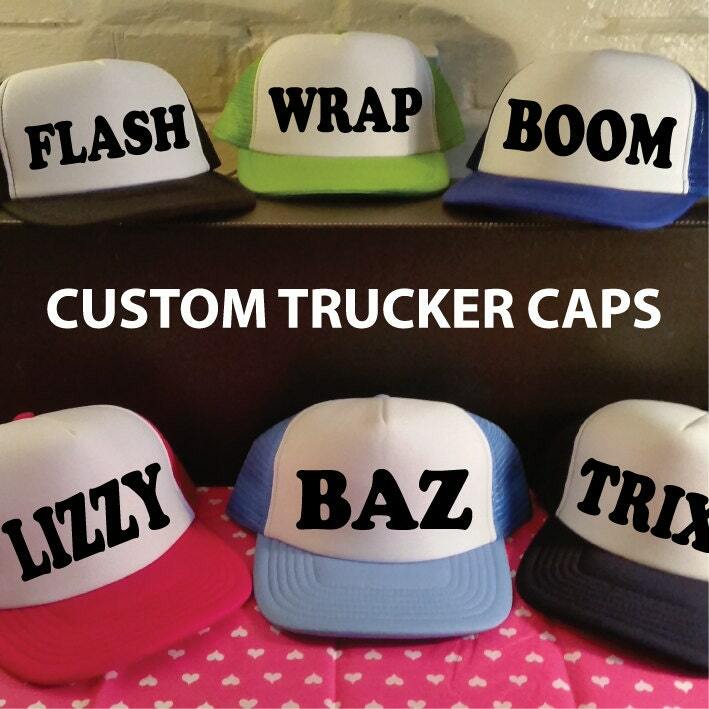 Custom Trucker. Hen Party Hats. 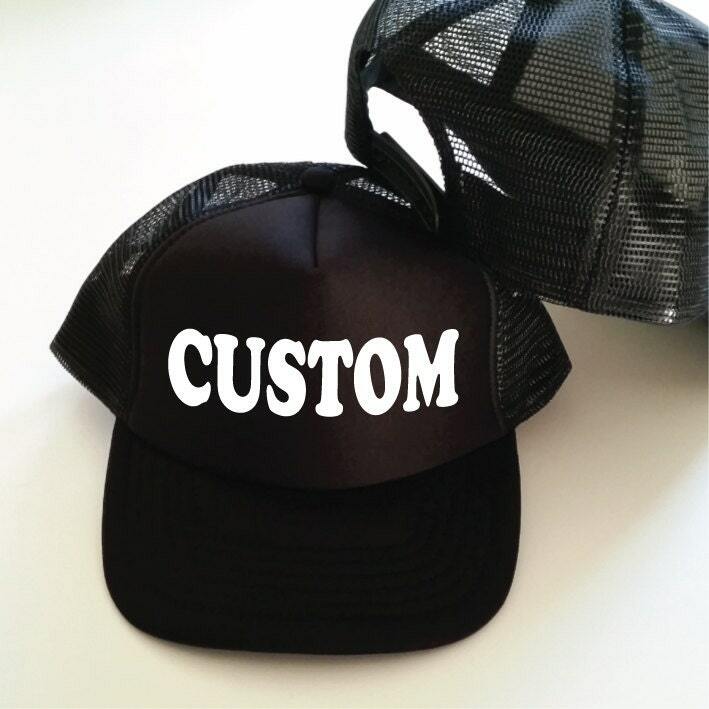 Custom Hats. 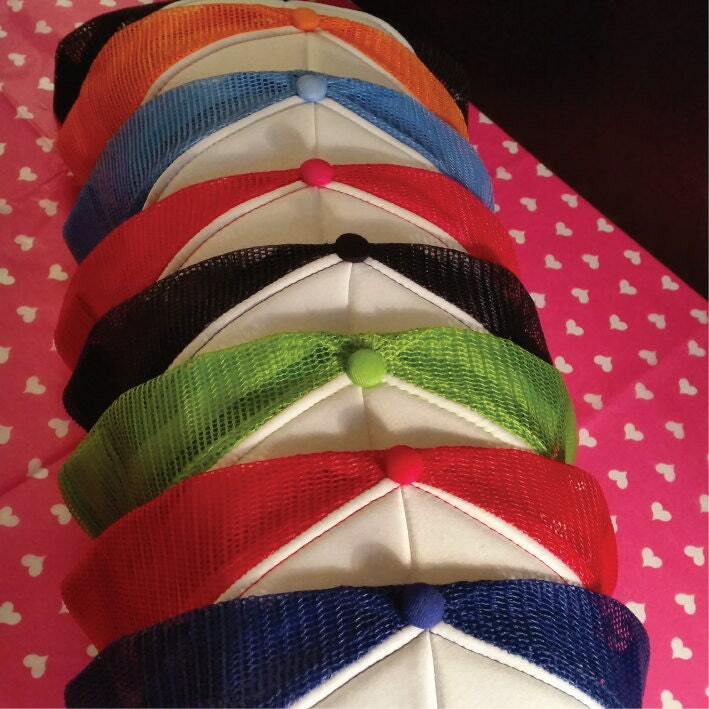 Bridal Party Hats. Custom Name. 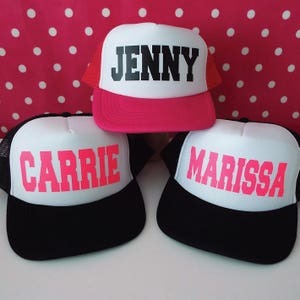 Personalized Hat. 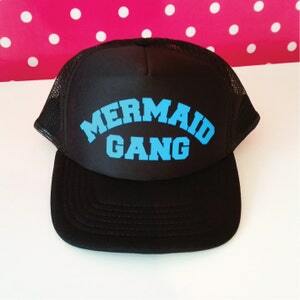 Trucker Hat.